Jack’s Forever 3 Foundation was founded in memory of our only son, Jack Allan Carpenter. The Foundation was established to promote driver awareness, after a tragedy as a result of a distracted driver. The Foundation is also dedicated to improving the lives of children in our community. Hoping to put smiles on their faces the way Jack always put one on ours. 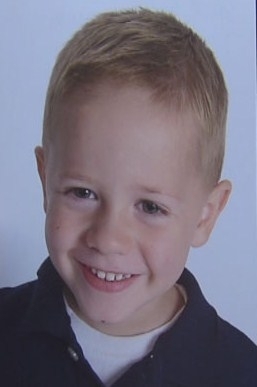 Jack’s death was a parent’s worst nightmare that we hope never happens to anyone. However, the three years we had with him were a true blessing that we will always treasure. Since September 7th, 2010 our family has made it our mission to promote driver awareness so that we can try to keep a tragedy like ours from happening to another family. We realized the great need to educate drivers on the importance of staying aware at all times and the potential consequences that can occur from being distracted. The Foundation will provide funds to local sheriff’s department and non-profit organizations that promote driver awareness in the schools and the community. Along with driver awareness, we also have a passion for helping others in our community. We feel truly blessed to have the life and family that we have and to live surrounded by such wonderful people. With that being said, we are starting our version of “Make a Wish,” and calling it “Simple Blessings”. We want to surprise families that don’t have the means to do anything “extra” by giving them a “Simple Blessing” to help put a smile on a child’s face the way Jack put a smile on so many faces. To raise money to help fund programs that promote driver awareness. To raise money to pay for “Simple Blessings” for families in need in our community. To keep Jack’s memory alive by putting smiles in families hearts. We want to take our tragedy and turn it into something positive in our community. If we can open up just one person’s eyes to raise awareness and touch one family’s heart then we’ve helped fill “our” hearts with hope and healing. We accept donations to Jack’s Forever 3 Foundation, Inc. at anytime during the year. All checks should be made out to Jack’s Forever 3 Foundation, Inc. and sent to the address below. All donations are tax deductible.